My 4-year-old son had never been the target of bullies, that until yesterday at a bounce house. 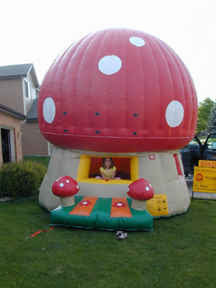 He was having a good time playing by himself in a bouncer/ball pit structure exactly as the one pictured above (found this photo via Google), trying to throw balls all the way up to the whole on the top of the mushroom. All of a sudden this group of three friends (one boy and two girls, between 3 and 4 years old) get into the bouncer and start to throw balls at my son (many times on his face) so he would leave and they'd have the toy all to themselves. My gentle, innocent boy thought it was just a friendly game and was actually laughing. I on the other hand was heartbroken and, from the opening of the pit, instructed my son to say "Stop throwing the balls at me", which he did, a little confused and still smiling. The little brats were not at all embarrassed by my indirect attempt to call attention to their horrible behavior, and kept on blasting my son with the balls. So I just told them that throwing balls at my boy "was not nice", and they just looked at me and laughed, without stopping to throw the balls. I felt like getting in there and responding by throwing balls on each of the demonic creatures' faces, but a bully I am not - plus I don't want to eventually get sued by their parents, so I just went in there and retrieved my son from the pit, fuming. Not surprisingly, the three bullies came right after and tried to pry my son's fingers alway from the toy. This time I just sat and watched. And my son did not let them take over. While the boy kept saying "get out of my bus", my son just kept firmly attached to the wheel and stood ground. And I'm glad he did, because I wasn't going to permit any further abuse from their part. Minutes passed and my son ran back to the mushroom bouncer. The male bully stroke some karate pose and yelled "yaaaaa", another unnecessarily aggressive act which went unnoticed by my good-natured boy, and then the three toddlers from hell decided to take over the mushroom again. This time my boy was quicker, and pushed the older girl out. Even though I was happy inside for the vindication, I told him firmly: "No pushing other kids", picked him up and took him to the next bounce room in order to avoid any further encounters with those annoying children. I know it might sound ridiculous to be so worked up about some toddlers who are too young to understand the impact of their behavior. However I know this may be just the first of many, many future instances where my son will be isolated, teased, and taken advantage of by mean neurotypicals. I know it will hurt me deeply every time it happens. And I know it will be very hard to control myself not to intervene and fight back. 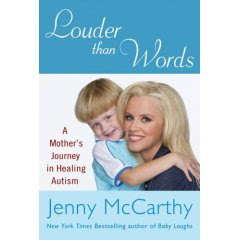 One of the things that bugged me the most about the whole buzz about Jenny McCarthy's recent mediastorm, was the fact that, while people insist that she is bringing a "new message" of hope and autism treatments, her book is talking exactly about the GF/CF and antifungal therapies already described on Karyn Seroussi's book "Unravelling the Mistery of Autism and Pervasive Developmental Disorder: A Mother's Story of Research and Recovery", published SEVEN YEARS AGO. Of course Jenny has an interesting personal story to talk about and she is entitled to write a book whenever she wants. But please, don't come and tell us that you're doing something no one else has done before. The main difference is that Jenny is a celebrity. I just don't think it is fair for her to take credit for the work that had already been done by Seroussi and other people who'd done original research and previously published about GF/CF diets and antifungal treatments as a possible treatment for autism. And it seems this is not the first time that Jenny copies somebody else's book idea and uses her celebrity status to try and make money by writing a similar story. 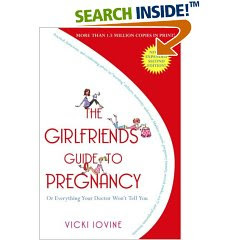 That happened when she wrote "Belly Laughs" (2004), which was supposed to show the real, funny and goofy side of pregnancy - something already achieved by Vicki Iovine's bestseller "The Girlfriend's Guide to Pregnancy" (1996). If I were one of those two original writers, I'd be pissed to see some celebrity taking credit for my ideas. In any case, I don't recommend the original books either. Seroussi still talks about the MMR and opioids effect as if they were true (by now these theories have been disproved by real scientists), and she's a GF/CF fundamentalist. And Vicki's book, although funny, is out-dated and irrelevant. ”With my son the only time I'm reminded that there is something different about him – that he has some deviation of what is perceived to be normal – is when I see him with other four-year-olds. The actor spoke with pride about the barriers his son has overcome in the first four years of his life – and paid tribute to his exgirlfriend Kim for being proactive in getting James the early intervention he needs. He's broken that barrier and its all about building on that now. 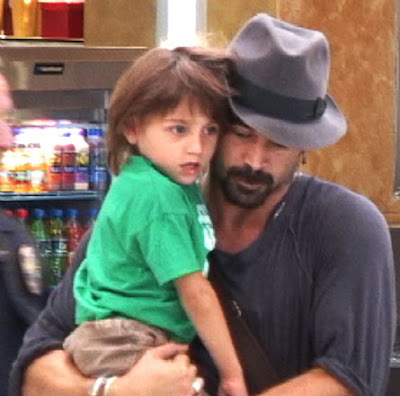 Although Colin has been juggling a career in Hollywood since he first burst onto the scene in 2003, he is dedicated to spending as much time as possible with his son. Little James has already met with his extended family in Dublin and even Colin's new girlfriend, Irish student Muireann McDonnell. The irony of having a child with special needs – months after becoming involved in the Special Olympics and being faced with the same challenges – is not lost on the actor. But, he is adamant that anyone who has a disability can still contribute to society and have a full and happy life. “Its mad the way the world works. It's bizarre. I experienced the overwhelming effect of being around those athletes pretty much just before my son was born with special needs. “I have never thought of my son as being someone with a disability. It goes back to special needs and what is a disability and what isn't”. How do you spell _________? That's my 4-year-old son's most frequent question these last few weeks. He's obsessed with letters and spelling (and now with writing too). So lately he's been asking me to spell the darnest things for him, like "Whoa", "Ummmm", and "Dying" (he doesn't know the meaning of that word, but he heard it on a Wiggles' song that he loves, "Gypsy Rover"). I didn't want to teach him that one, for fear that he'd repeat that aloud in his preschool in front of teachers and other children. By the way, if you have a kid at home with any degree of hyperlexia, or who is starting to learn how to read (and loving it) you have to go to this website: Starfall. All teachers swear by it, and we surely agree it's wonderful. In my case, it's a way to help my son pay more attention to a narrative, since the stories are animated and interactive. Besides, he'll be able to realize that each letters' phonic sounds combined make a word, so he doesn't need to rely on visual memorization alone, he'll be able to read novel words. I think my son was autistic from birth. I don't believe in the vaccine-causes-autism theory. 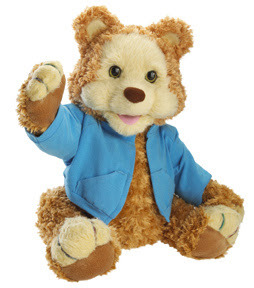 But I have to admit, the lead recalls that have affected some of my son's toys scared me enough to call my son's pediatrician and request a lead test. My son was always big on toy-chewing. The doctor agreed right away, it doesn't hurt to be on the safe side. But then, what if he's lead-poisoned? Not only that will make me very worried about his health, but also - argh - my son will have to be treated with chelation. If that's the case, I hope there will be bona-fide doctors that can provide this treatment, and we won't need to rely on some creepy DAN doc. Recently after ABC's The View and MTV's True Life shows focusing on autism, I've been hearing a lot of parents complaining that the media is not showing more severe cases, with kids displaying more extreme behaviors. "They have to show what real autism is", said the mother of a non-verbal teenager that I know. However, I think the problem is quite the opposite. Before I had my own child diagnosed with autism, this is what I had learnt from reading newspapers and magazine articles, and watching movies and TV shows: autistics will not give you eye contact, do not show affection, rock their bodies and flap hands, hit their heads on the wall on purpose, and have little or no language. 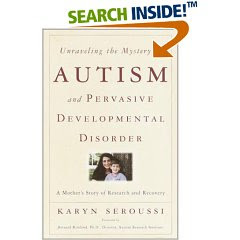 So when my child showed NONE of those characteristics, but yet had a very strange pattern of language development (echolalia), and did not point to show and make comments about his interests, I thought he had some kind of speech delay, and an independent personality, but autism was the farthest thing from my mind. "He gives me great eye contact, he hugs and kisses people all the time, he doesn't bang his head, he turns to us when we call his name, he doesn't get overwhelmed in crowded or loud places, there's no way he's autistic!" I thought to myself, after reading a few articles about the disorder. As a matter of fact, one speech therapist saw my son at 2 1/2 years old - when I was worried that he still didn't talk in sentences or answered to questions - and she thought he was a neurotypical that would just turn out to be a late talker. It took a chance encounter with an elementary school teacher a couple of months later to open our eyes to our son's autism. He was a friend of a friend who happened to show up at our house, and expressed his concern to my husband when he noticed my son's repetitive play, scripted language, and aloof manner. That same week, the teachers at his preschool told us that while our son was very sweet and well behaved, and extremely smart with academics, he was always playing by himself and not engaging enough in communication with the teachers, and had a significant language delay. 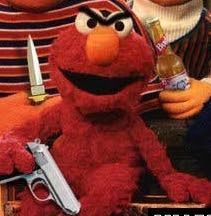 They didn't know what his problem was, but they urged us to seek an evaluation. We asked the pediatrician for an urgent referral, and meanwhile started researching feverishly on the internet. On the more informational websites, we could confirm that my son's autism should have been obvious all along, with the narrow interests, lining up of toys, echolalia and scripted language, hyperactivity, perseverative and repetitive behaviors, etc. Even his uncanny ability to read letters and numbers at 2 years old was very common in autistic kids! We didn't need to wait to hear the official diagnosis a month later; we knew right then he had autism. Unfortunately, the more comprehensive lists of symptoms can only be found on websites that are read mostly by people who already suspect their child is autistic. Those symptoms are not common knowledge and very rarely the TV shows and magazines will talk much about the most subtle signs. The stereotypical image of autism IS the severe end of the spectrum, and very few people in the world know what moderate to high functioning autism looks like. And that's precisely the reason why so many children are falling through the cracks and not receiving the early intervention that they need in order to develop to their full potential. 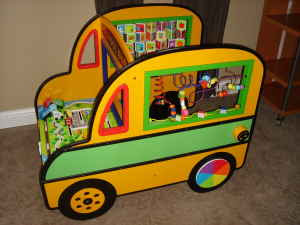 If I'd known more about all symptoms of autism, I'd have been able to diagnose my son as early as 12 or 18 months old! Instead, by the time we found out, he was almost 3; by the time bureacracy allowed, he only started receiving special education for autism at 3 years, 2 months of age. The fact that some kids are not obviously autistic to their families and peers will also make these children vulnerable to abuse. Parents will think they are defiant or inconsiderate; peers will call them dumb or crazy. So, as we're almost at the end of Autism Awareness month, I hope that more and more people are learning that autism is a spectrum where even the most "high functioning" individuals will have to face extreme difficulties and challenges, and will need a lot of support and understanding. I hope that more educators and therapists will be able to spot the early signs of autism so our children will have more time to "catch up" on their development.